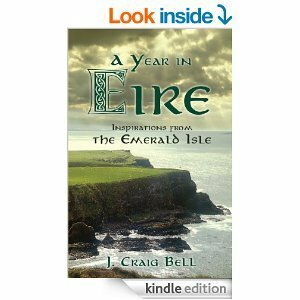 A Year in Eire; Daily Inspirations from the Emerald Isle is an enchanting, but effective devotional that will reach into your heart and speak to your spirit. Jim Bell introduces readers to notable Irish poets and writers whom he has used for inspiration, includes their wisdom and wit, and adds his commentary to create an unforgettable book. A Year In Eire also informs the reader of the unique cultural attributes of the Irish, and inserts etymology and superstition native to the Irish that connects you to the beauty of the Emerald Isle. Enjoy this devotional when life presents you with a challenge you do not know how to face, when you are aching for reassurance, need comfort in the storm of uncertainty, or want to know that you are not alone in any of your experiences. Bell speaks through many of life’s ups and down in a playful tone that will lift you out of your lowest moods, painting poetic nuances over each page, and giving you refreshing messages to help you carry on. With Bell’s various reminders, this is a devotional sure to touch and inspire you for any purpose.